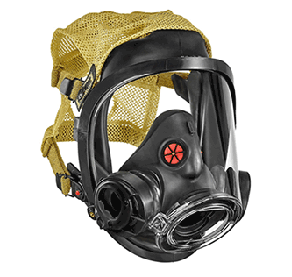 M120 FACEPIECE| Safety Equipment For Military – SOS Safety Int. Inc. 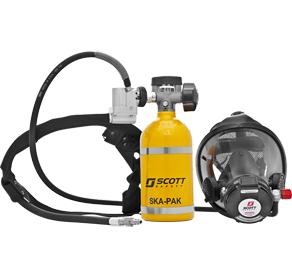 The Scott M120 Facepiece is designed for first responders and tactical personnel. 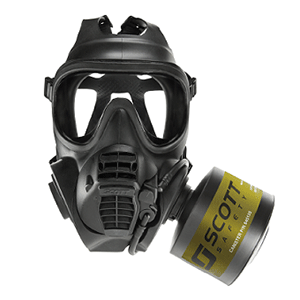 The Scott M120 Dual Lens Facepiece is a lightweight, low profile facepiece that is ideal for police, security SWAT teams and military personnel for both CBRN and other air-purifying applications. The M120 facepiece offers APR protection in combat, riot control, or other tactical situations. 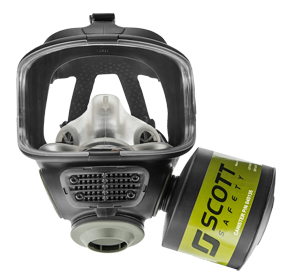 The versatile Scott M120 facepiece with 40 mm thread is approved for NIOSH PAPR, CBRN-PAPR, NIOSH-APR, and CBRN-APR applications.